FlatMode: You can't spell fLAtLAnd without the LA! Either one of them! You can't spell fLAtLAnd without the LA! Either one of them! Check this edit from our ninjas on the south coast in LA (Louisiana)! 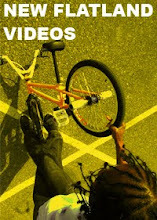 "Escape" iPhone BMX Edit from Mickey Gaidos on Vimeo.